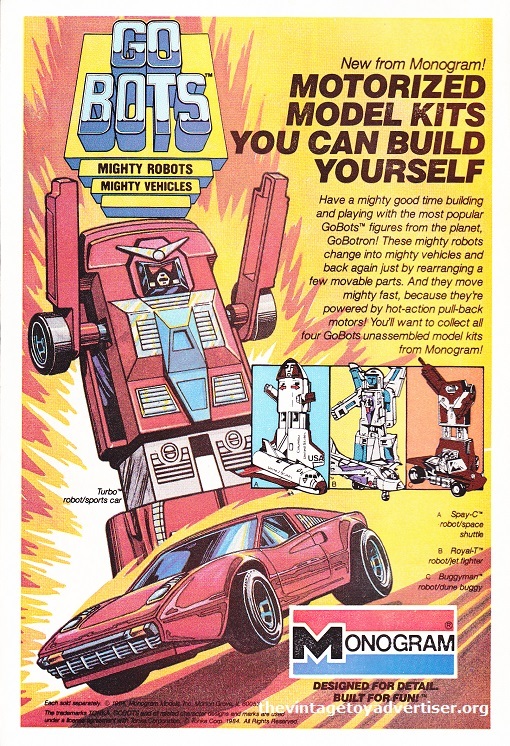 Gobots was a Japanese toyline featuring transforming action figures and play-sets that were licensed to the Tonka company between 1983 and1987. 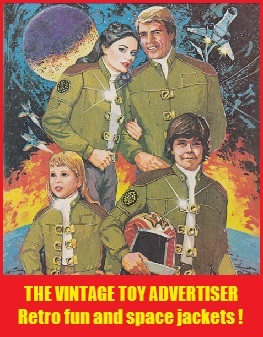 Among the GoBots derivatives are magazines, books, video games, a 1984 Hannah Barbera cartoon series and model kits made by MONOGRAM. This entry was posted in GoBots, ROBOTS and tagged 1980s toy adverts, 1980s toys, GoBots, GoBots model kits, Monogram GoBots, transforming toys, vintage toy adverts, vintage toys on February 11, 2012 by The Vintage Toy Advertiser.